Once taking Myanmar tour to Inle Lake, tourists have chance to meet “long – neck” Kayan women, as one of top 10 things to see in burma. The girls of Kayan tribe wear a lot of cooper necklaces because it is said such would make them less attractive to other tribes and prevent them from human trafficking. Today, the custom remains widespread. 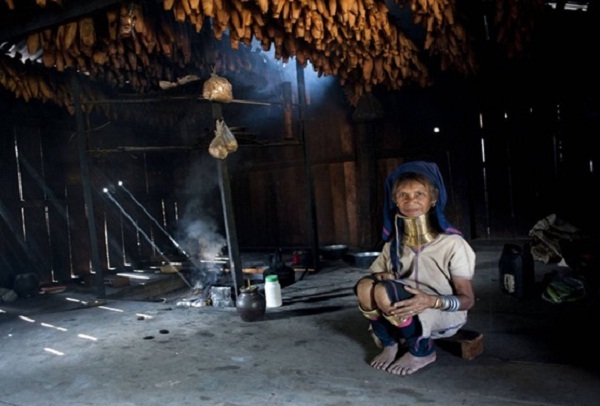 The Kayan girls wearing bronze necklace attract many tourists traveling to Myanmar, typically in Nai Soi Kayan villages, each year attract more than a thousand tourists to visit. The girl once wearing cooper necklace will seldom take it off, because they become something very familiar to them, an integral part of their body. And another reason is that the neck skin inside has not ruddy complexion as before, but becomes pale because of being concealed for too long. Additionally, according the custom of the Kayan tribe, only women that betray their husband must take the necklace off as a penalty. 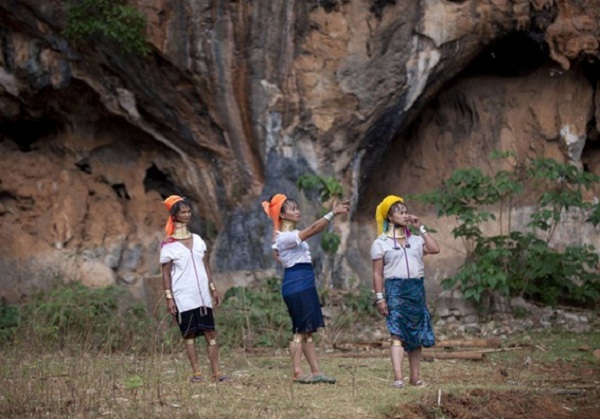 The long – neck tribe now become a beautiful symbol of preserved local culture, which attracts thousands of travelers to visit Myanmar. Anyone who come to the country has opportunity to witness the special women and learn about the interesting story of them.